Simply put, 70-20-10 is a methodology implying that the most effective learning takes place through practical means. Approximately 20% of what we learn comes through building relationships, such as coaching or mentoring. That leaves 10% – yes, only 10% – of what we learn happens through formal training. I know those of us who lead formal training sessions on the regular might be inclined to squirm a bit when 70-20-10 is brought up. After all, for many L&D practitioners, facilitating training is what. we. do. So, someone is now telling us that only 10% of what people learn occurs this way? The key is to leverage the 10% to make the 90% even more effective. What are you doing in a formal setting to set your participants up for success, whether building relationships with peers or a manager, or making things happen on the job? As the title of this post indicates, I recently witnessed this approach in action in an unlikely place. At my friendly, neighborhood nail salon. Yeah, not exactly a place you would immediately think about 70-20-10, but bear with me. 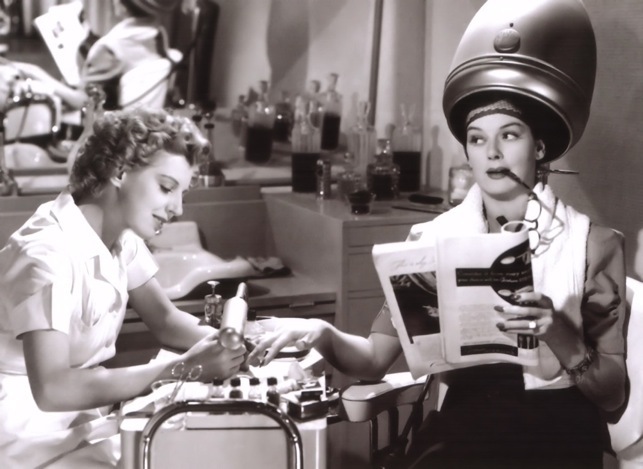 When I was waiting for my appointment, I couldn’t help but notice the salon owner’s daughter was sitting next to one of the manicurists, whose “customer” was actually another salon employee. The daughter was observing and asking questions. I have been going to this salon for several years and am used to seeing this young lady around the salon. I thought for a moment that she is probably a little older than my own daughter, and then noticed that she and the manicurist traded places – SHE picked up where the manicurist left off, being watched closely by her more experienced peer. Ahh – she is “in training” – so naturally, my curiosity was piqued. The 70% was represented – she was learning on the job. The 20% was represented – the experienced manicurist was coaching her, guiding her and answering her questions along the way. When I sat down in my chair for my appointment, I asked about it. I learned that she is 19 years old and wants to join the family business, so she is an apprentice. She is doing the necessary training so she can get her state license (hello, 10%!). I was impressed. Bottom line: They don’t need a big training program, or a dedicated L&D team, or a Chief Learning Officer, to know that learning is most effective when it’s relevant and practical. They know what she needs to learn to be successful in her role and to add value to their family business. Sometimes, we (organizations) make things incredibly complex – but maybe if we go back to basics and consider learners’ needs, we’ll find that we can make 70-20-10 come alive in our own organizations. Your turn: Is your team modeling the 70-20-10 approach (or a variation of it) in your learning programs? If so, how do you help your stakeholders, employees and company leaders understand the concept? Share your successful practices and tips in the comments! Whether I met you last week at ATD’s TechKnowledge 2015 in Las Vegas, or you just stumbled upon this blog, thanks for following! Let’s connect on Twitter or LinkedIn! Also a great post! I think we have to do better at the on the job stuff — thanks for the reminder! Thanks, Allison! I agree, we’re typically very good at the 10%…I’ve found the 70% can be a challenge – both aligning training to it, and helping to communicate (to learners, managers, etc) what the 70% really means in the “real world” environment! I’ll talk 70/20/10 with people when I’m designing a program, but I’m hesitant to bring that trainerspeak to the masses. Although as I reflect on this, perhaps every day, non-training folks need to be more aware of 70/20/10 lest they believe that just focusing on the “10” will turn them into better performers.